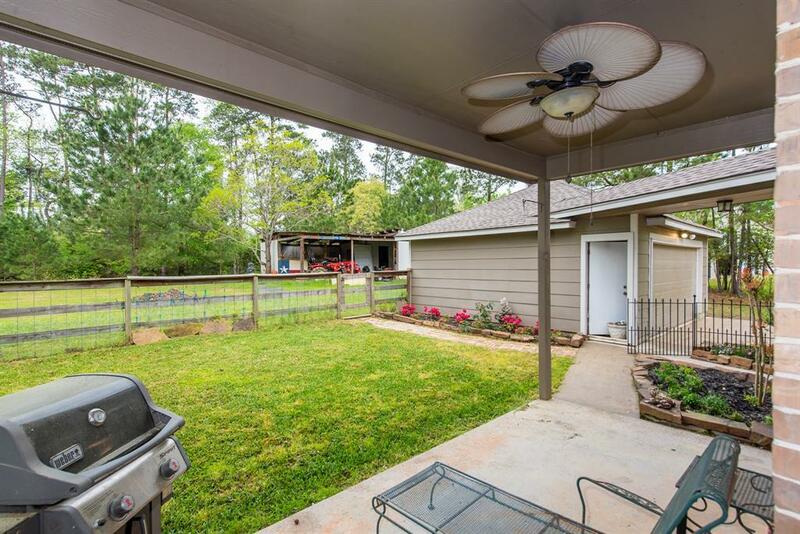 BEST KEPT SECRET IN CONROE- one owner home on 3 acres with a pipeline easement behind the property as per the sellers. The home is fenced and cross fenced. Great for your Horses! There is a building behind the home could be used for tack room etc. This home was custom built by the sellers. Hardwood Flooring updated and Newly Updated Master Bath There is a spa tub and features an oversized shower. 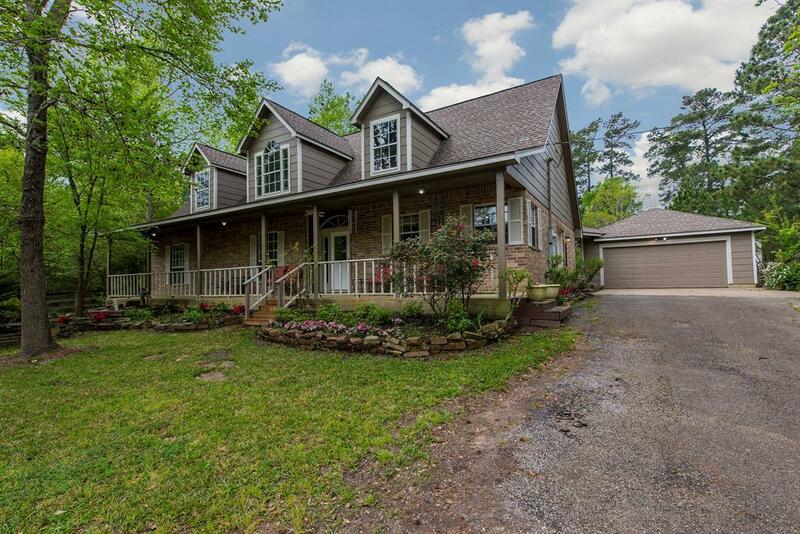 Don't miss this one of a kind private home in a deed restricted subdivision with a private lake for all residents to enjoy! 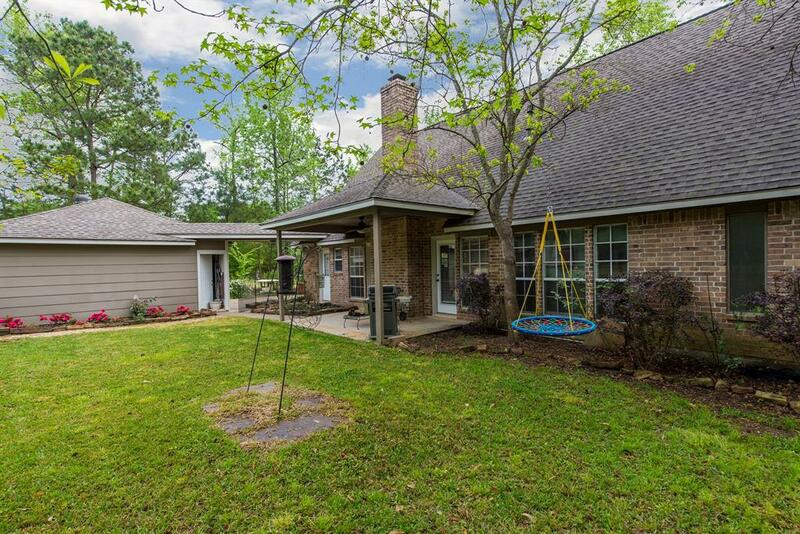 The home has updated roof, Master Bath, wood flooring with an open concept! The home has a private remote entry for your privacy. 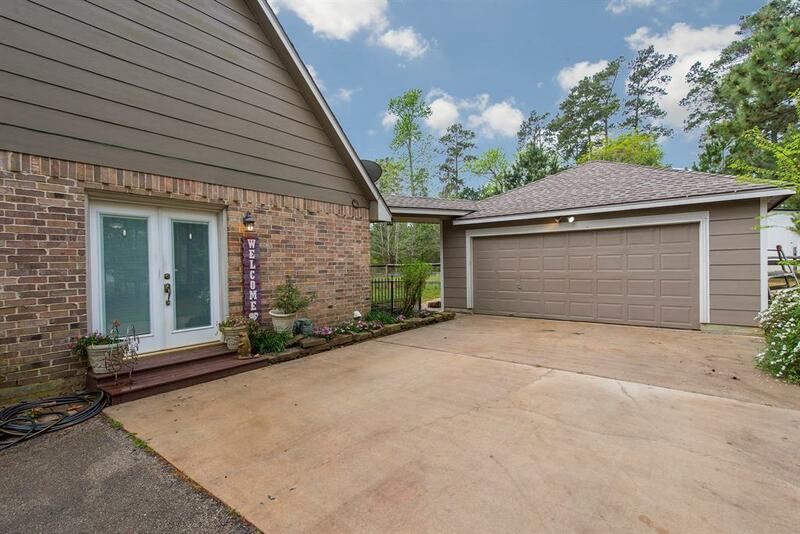 Recent roof and water softener just a few of the additions and updates to this home!There is also a private boat ramp in the neighborhood along with numerous parks and pavilion around the private lake. Homeowners can enjoy water skiing fishing and enjoy the water activities. DON'T MISS this home you will not be disappointed!